Monix is a fully responsive template with a modern design suitable for all creative fields and companies. 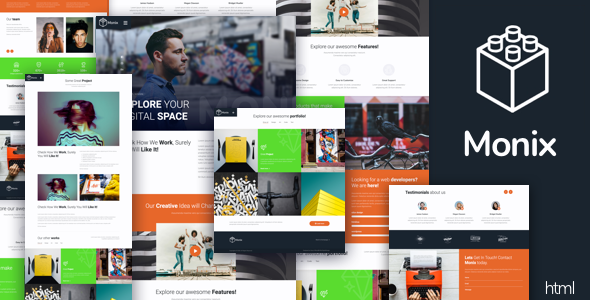 The template is a perfect choice for photographers, artists and designers, creative agencies who want to showcase their work and get new customers. Monix makes it easy for you to create a website. It is built on top of the hugely popular Bootstrap 4 framework thus offering clean, semantic HTML and well-structured CSS. The code is excellently formatted and commented, so when it comes to customizing it can be carried out with ease.